In the United States there are approximately sixteen to thirty-three percent of teenagers and children who are considered to be obese. Obesity is easy to diagnose but it can be very difficult to treat. Lack of exercise and poor diet cause more than 300,000 fatalities every year. Unless children and teenagers are made aware of living an unhealthy lifestyle, they will grow to become overweight, unhealthy adults. With proper education and support from parents, today’s kids can live long, healthy, happy lives. In order to be considered obese the child’s weight is 10 percent more than the body type and height recommended by a doctor. Obesity typically occurs between five and six years-old. Those in their pre-teen years who are considered obese have a high chance of being obese adults. Hospital costs associated with obese children were an estimated $127 million from 1997 to 1999. Statistics of 2007/08 Obese Children – This website uses charts to show the obesity rate of children in the United States. Obesity Rates Climbing – This is a great article discussing the future of obesity in the United States. Understanding Obesity – This PDF article provides an explanation of how obesity statistics are measured. American Women – This article discusses how race plays a role in obesity in women in America. Obesity – This article discusses obesity and the impact it has on children. Cultural, biological, genetic, and behavioral factors all play a role in childhood obesity. If one parent is obese there is 50 percent higher chance that the child will be as well. If both parents are obese the child has an 80 percent higher chance. Side effects of some psychiatric medications or steroids, as well as certain diseases may also lead to obesity. These diseases include hypothyroidism and polycystic ovary syndrome. Etiologies of Obesity – This is a great article discussing the many different factors that can play a role in obesity. Causes of Obesity – This PDF article discusses the causes and effects of obesity. Obesity Causing Diseases – This article provides a brief description of obesity causing diseases such as hypoglycemia, Cushing’s disease, and hypothyroidism. Stress Induced Obesity – This article discusses cortisol and the harmful effects of stress-induced obesity. Prader-Willi Syndrome – This PDF pamphlet discusses how Prader-Willi Syndrome can lead to childhood obesity. Being overweight can lead to many complications and risks. There is a higher risk of developing heart disease, diabetes, high blood pressure, sleep apnea, and respiratory problems. Weight issues in teenagers and children can also lead to emotional problems. They tend to be unpopular with other classmates and have low self-esteem. Obesity can lead to disorders such as anxiety, obsessive compulsive disorder, and depression. Liver Disease – This article discusses how obesity can lead to liver disease. Obesity and Diabetes – This article discusses the relationship between diabetes and obesity. Cardiovascular Disease – This link provides more information as to how being overweight can lead to heart-related issues. Depression – This link provides more information as to how obesity can lead to depression. Obesity is something that needs to be addressed for health and safety. A pediatrician or physician will need to do a medical evaluation in order to determine the physical causes. 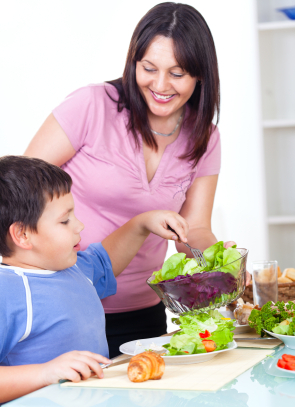 They may also recommend the child to see a nutritionist to learn healthier eating habits. A key factor to losing weight is through proper eating and being physically active. It is important to get outside and move for at least one hour a day. Participating in sports, riding bikes, or going for a long walk with friends and family is a great way to get moving while having fun. Recreational Activities – This article offers ideas for recreational activities to help get active. How to Be Active – Here you can find tips and advice on how to be more active. The Teen Years – This PDF document provides more information on exercise and nutrition through the teen years. Maximize Your Potential – This PDF document provides exercise tips to help people reach their maximum potential. Exercise Tips – This document provides general exercise tips. Proper nutrition will not only help with weight loss, but it’s better for you in every aspect of being healthy. Try to avoid fast food, junk food, and keep snacking at a minimum. Keeping portion sizes smaller will help you eat fewer calories. Do not eat while watching television or playing on the computer and instead, eat with family at the dinner table. When you see results from all of the hard work, reward yourself with a new outfit instead of with an unhealthy treat. For some, battling weight can be a struggle but by starting when you’re young and sticking to it, children can learn to be and stay healthy for life. Food and Nutrition Information Center – The Food and Nutrition Information Center provides everything you need to know about food and nutrition. Fruits and Vegetables – Here you can find the amount of servings of fruits and vegetables needed each day, tips, and recipes. Center for Disease Control and Prevention – The Center for Disease Control and Prevention website offers many various articles on health and nutrition. Nutrition.gov – This website has a lot of valuable tools and information to help everyone live a healthier lifestyle. Labeling and Nutrition – This website provides information on everything regarding the nutritional labels on food packaging. A lot of times children learn the behaviors of their parents. If the parent is living an unhealthy lifestyle, the child will likely follow. Parents can help by changing the way they eat, getting outside more, and encourage their children to do the same. Offer to go on bike rides, long walks, play a game of tennis, throw around the football, or anything that you and the child can do together as a way to get moving. Encouragement and reward go a long way and by teaching children a healthier way of living, you’re giving yourself and them the keys to a long, happy life. Being an Advocate – This pamphlet helps parents and grandparents learn how to advocate a healthier lifestyle for their children and grandchildren. Eating Healthy and Exercising – This article goes more in-depth on the topic of childhood obesity as well as providing some general prevention tips. Guide to Healthy Kids – This pamphlet educates adults in recognizing when their child is overweight and provides tips to make lifestyle improvements. Making Food Healthy and Safe for Children – Here parents can learn about safe foods to eat, how to keep foods safe, and how to meet nutritional needs for children. KidsHealth.org – This is a great website for parents to learn more about nutrition for their kids. There is a BMI calculator tool, a question and answer section, as well as great recipes. In general terms, organic food is food that is grown in an environmentally friendly environment and that is free of synthetic pesticides or petroleum-based fertilizers. They are environmentally friendly because they are grown using water and soil conservation techniques as well as reusable resources. In addition, organic foods are not irradiated and do not have genetically modified organisms (GMO) or any form of chemical additives. For a more precise definition, the United States Food and Drug Administration has a National Organic Program that exactly defines organic food. In addition to giving an exact definition, it also explains the regulations that are associated with growing or raising of organic food. When it comes to products that come from livestock, such as cows or chickens, the term organic has more to do with the way that the animal was cared for and raised. In this sense, organic implies that the animal was treated humanely and given feed that was organically grown. Organic meat and dairy means that the animals were also never given any form of growth hormones or antibiotics. 100 Percent Organic: This label is self-explanatory in that it is 100 percent organic. Food items found with this label will exactly meet the definition of organic foods in that they do not have synthetic pesticides, growth hormones, antibiotics or hormones. Organic: When a consumer purchases organic food, he or she is getting a food product that is 95 percent organic with 5 percent of ingredients being non-organic. Made with Organic Ingredients: Consumers who purchase this type of organic food will get a product that is no less than 70 percent organic ingredients and 30 percent non-organic ingredients. Less Than 70 Percent Organic: With this label food will only name organic ingredients in their ingredient list. The difference in food items that are called natural and food called organic may seem confusing to some. On the surface, the two terms may seem to be the same, however there are some differences between them that consumers should be aware of before choosing between the two. The primary and most important difference lies in regulations. When it comes to organic food, the FDA has regulations in place and clearly defines the meaning of the word organic. This is not true for foods that are labeled as being natural. Natural foods are neither regulated or defined by any food organizations or federal bodies. This means that manufacturers can label anything as being natural without first meeting any specific standards. They’re Good for the Environment: Traditional farming methods can be dangerous to the soil and nearby streams. Organic farming methods do not use any synthetic or potentially toxic materials that will contaminate these areas. It’s USDA Regulated: As previously discussed, organic foods are governed by the USDA, This ensures that the food is safe for consumption and that the food is being handled properly. Help Increase Organic Farming: As the demand for organic food grows the number of farms that supply it will also increase. Currently in the United States there are roughly 13,000 organic farms that are certified. While this may seem like a significant number, it seems much smaller on a global level where only .7 percent of farmland is organic. For Good Health: When eating organic foods, people reap the benefits of consuming more vitamins and minerals than they get with non-organic foods. As a result, these greater levels of nutrients may help to fight certain diseases. On the other hand, chemicals found in traditionally farmed foods may actually increase the risk of diseases, such as cancer. Chemicals found in conventional foods include synthetic pesticides and fertilizers. For the Taste! Taste is one of the most simple reasons for choosing organic foods. Most often, organic foods are more flavorful than conventionally farmed foods. One of the reasons for this is the methods that are used during the farming process. Get the Facts About Organic Foods: A page on the North Carolina Cooperative Extension website that reviews facts regarding organic foods. It covers the health benefits of organic food, what the organic food label promises, and defines organic food. Organic? What’s the Big Deal? : A Princeton University page on organic food. It reviews the health and environmental benefits of organic food as well as it’s taste and how it impacts animal welfare. Organic Foods – The Facts: A PDF from the University of Georgia that covers organic food facts. It covers farming facts and health benefits. Organic Foods: A scientific status summary in PDF form that compares organic food and conventional food. Organic Farming: A page on the Macoskey Center for Sustainable Systems Education and Research website. This web page explains what is meant by organic and why organic food should be grown. Organic Foods – Are They Safer? More Nutritious? : A page on the Mayo Clinic website that discusses the safety of eating organic food and its nutritional benefits when compared to conventional foods. Benefits of Organic Foods: An article on the National Resource Defense Council website. Defines organic food, the reasons to choose organic and additional choice other than organic. Just the Facts: Organic Fruits and Vegetables: An article found on the Organic Trade Association website. This page discusses organic farming of fruits and vegetables. It also covers the benefit to children who eat organic fruits and vegetables. Organic Food Behind the Hype: A Forbes slide show that covers seven things that people should know about organic food. This ranges from cost of the food to certification. Organic Labeling and Marketing: A PDF from the U.S. Department of Agriculture that provides information on the labeling and marketing of organic food items. Environment – Organic Products: A page on the California State website that discusses organic products. This page reviews regulations for organic products, types of products and reasons for the higher cost of organic products. Organic Production and Handling Standards: The Environmental Protection Agency standards on regulations for organic farming. 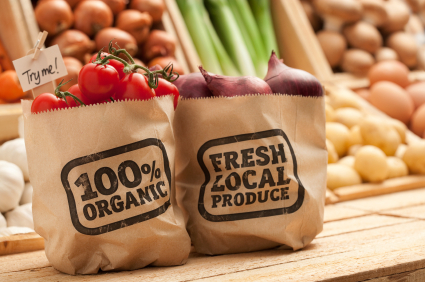 Organic Standards and Labels: The Facts: The University of Wisconsin Food Safety and Health. This page reviews facts on organic food. Nutrition Fact Sheet – Organic Food: A PDF page from the University of Michigan regarding organic food. Explains the differences between natural and organic food and reviews whether organic food is more nutritious. About Organic Produce: An article that discusses and explains organic food. A primary focus of the article is the use of pesticide on organic produce. The Hidden Dangers in Organic Food: An article that reveals the increased bacterial risks associated with eating organic food. Is Organic Food Worth All Your Hard Earned Green? : A Stanford magazine article that discusses the cost associated with organic farming. Your Guide to Organic Food: A University of Rochester article that discusses organic food in terms of what it is, the benefits associated with it, and how to shop for it. When you debate about which restaurant to visit, you probably go through a laundry list of food choices that features cuisines from around the world. Do you want pizza or burgers? Curry or sushi? A sandwich or a burrito? Buffet, fast food, or a sit-down restaurant? And while there are certainly a wide variety of options for eating out, the landscape of modern dining has been undergoing a healthy renovation right under your very nose. With the government looking to polish up its tarnished image by demanding healthier fare in schools, overhauling the food pyramid, and outlawing trans fats, several new types of foods and diets have emerged as hallmarks to a generation that is tossing the chips and sodas in favor of foods that are generally more nutritious and sometimes bizarrely alternative. 1. Organics. You’ve probably seen organic foods in the grocery store or heard that they are “healthier” than the items you normally buy. These claims may or may not be true, but here are the facts. Organic produce differentiates itself in the following ways: fruits and vegetables are grown without any chemicals, which means no pesticides, herbicides, insecticides, or harmful fertilizers will touch them, while meats are humanely raised, fed organic grain, and given no hormone injections or antibiotics. This basically equates to a complete removal of chemicals from your foods, which is probably a healthy choice in the long run. 2. Flexitarian. This unique and rapidly spreading diet is mostly vegetarian. It allows consumers the freedom to eat meat occasionally (lean meats like chicken and fish are recommended, although red meats that are high in protein and iron can be consumed up to twice a week), while ingesting a predominantly vegetarian diet. 3. Macrobiotics. This is a big word for a no-meat diet. But it differs from the standard vegetarian or vegan diet in that it relies heavily on brown rice and whole grains, while limiting the intake of fruits and vegetables to certain items that must be eaten in soup form. Additionally, animal products (eggs, dairy) are discouraged, along with items that are high in fat, and strangely, cold foods. 4. Raw foods. Just the opposite of macrobiotics, this diet demands that food be prepared without cooking. Acceptable items include fruits, vegetables, nuts, beans, grains, and the like, none of which can be heated to above 116 degrees Fahrenheit at the risk of destroying enzymes that aid in digestion and absorption, or the “life force” of the food. 5. Instinctive eating. This fringe diet (sometimes referred to as Instincto) also requires that foods be raw, but unlike the raw-food diet, it allows for the consumption of animal products. That’s right, you can eat eggs, meat, insects, pretty much whatever you want as you want it…provided it’s raw. The other part of the diet is a bit strange, especially in a culture where the norm is to plan out meals. People who choose this diet are encouraged to eat what they desire at any given moment, and this is determined by smelling (or when acceptable, tasting) the foods on hand. Plus, foods can’t be mixed, spiced, or anything of the sort. They are literally eaten as is. 1. Mario Batali. There are several interesting things to know about the career of this famous chef. For starters, he never completed culinary school (he began at Le Cordon Bleu in London, but dropped out). Then there’s the fact that he somehow snagged an apprenticeship with famed London chef Marco Pierre White, only to disappear for three years to train in a small Italian village before returning to the U.S. Finally, there’s his stewardship of not one, but several highly-rated and award-winning restaurants (not the least of which is New York standard Babbo Ristorante e Enoteca) that rely not on flashy gimmicks and quirky fusion trends to draw a crowd, but rather on hospitality and the simplicity of exquisite flavors to ensure return customers. His career has not been traditional by any means, which only goes to show that many paths may lead to success in the world of culinary mastery. 2. Gordon Ramsey. This chef may be best known for his notorious temper and his intolerance for sluggish, sloppy, or ignorant kitchen help. But before he let it all hang out on Hell’s Kitchen, he made a name for himself by working under some culinary legends (including Marco Pierre White, Guy Savoy, and Joel Robuchon) before he became the head chef of Aubergine, a highly recognized and successful restaurant. From there he became a household name after publishing books, opening more restaurants, and demonically training would-be chefs on one of several TV shows. While his demeanor is nothing to aspire to, there is a lot to be said for his dedication to perfection and his dogged desire to be the best at what he does. 3. Rachel Ray. This petite chef’s claim to fame is her simple techniques and recipes used to create delicious meals in less than thirty minutes. She has somehow managed to turn an otherwise unassuming concept in cooking into a full-blown career that includes cookbooks, a magazine, product endorsements (Nabisco, Dunkin’ Donuts), and even a syndicated “talk and lifestyle” TV show that centers on her cooking. Being cute and spouting clever catchphrases (“Oh my gravy!”) does not a master chef make, but Rachel Ray has managed to segue her personality into a lucrative career as a professional chef. 4. Bobby Flay. Another person who relies heavily on his loud personality to garner attention, Flay is also a stellar and inventive chef. His strengths lie in southwestern cuisine, but that hasn’t stopped him from competing on such televised challenges as Iron Chef and Throwdown! with Bobby Flay (just two of the seven shows he has been featured on). He also owns ten restaurants. And while he went the traditional route by graduating from the French Culinary Institute, he turned down an opportunity to become an executive chef early in his career because he felt he wasn’t ready. As chefs go, he is one of the few who relied on perseverance and training to build his career from the ground up and become the best chef he could be. 5. Masaharu Morimoto. Although he gained worldwide recognition as the somewhat retiring Iron Chef Japanese on the original Iron Chef (a role he reprised for Iron Chef America) Morimoto traveled widely, worked at and opened several restaurants (from Malibu’s famous Nobu to his own Morimoto in Philadelphia), and turned his innovative spirit and love of fusion cooking into an empire. Not to mention his alliance with Rogue Ales of Newport, Oregon, with whom he has created a line of specialty beers. His career has been one of experimentation and sampling of foods from different cultures. And his subsequently unique creations have made him a standout chef. You can learn a lot from watching one of the many cooking shows that have become almost ubiquitous on your television viewing schedule. Aside from spicing up the fare that issues from your own kitchen, you can catch a glimpse (albeit a dramatized one) of how a professional kitchen is run. But if you’re interested in becoming a chef of some sort yourself, one thing that very few TV shows will tell you is who does what in a kitchen and how your love of cooking can translate into a career (hey, not everyone can get on a show to become the next top chef!). So read on to discover what your options are when it comes to a career in the culinary arts. 1. Executive/head chef. This position is at the top of the culinary food chain (so to speak). The head chef is in charge of the entire kitchen and everyone in it (from lesser chefs to servers). They set the menu and will often float around the kitchen to ensure that all tasks are being done accordingly and pitch in as needed. While executive chefs are well within their rights to dictate any and all tasks to underlings, they may opt to hand-select ingredients, cook a special item themselves, and even speak to guests as a way to introduce the menu or garner feedback. 2. Sous chef. The right hand of the head chef, people in this position are usually in training to become an executive chef. They are generally required to follow the head chef and take on any tasks he throws their way. They should be prepared to fill in at any station in the kitchen, including that of their boss should he happen to be absent. 3. Baker/pastry chef. A baker need not work in a restaurant setting (although their skills with dough and pastry make them a welcome and necessary addition to most kitchens). Many who choose this profession prefer to own, manage, or work in a strictly bakery setting where they have more control over the foods that are produced. 4. Saucier. 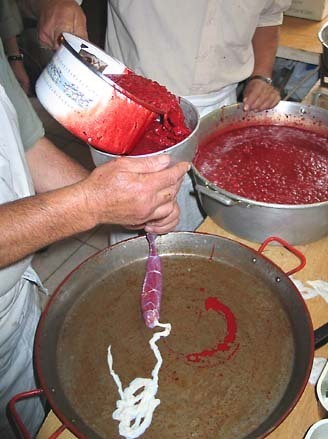 The saucier is only common in certain restaurants (originating in French cooking) and is in charge of making all sauces (and sometimes dishes that rely heavily on the sauce). It is a fairly prestigious position as a good saucier can make or break a dish. 5. Commis. This is the lowest position in the kitchen and is generally the starting place for any aspirant chef. The commis does menial tasks like preparation (washing, chopping, etc. ), but gains invaluable experience in all areas of the kitchen, from cooking to plating. By learning from others, the commis will be able to eventually move up and take on bigger responsibilities. 6. Sommelier. This is not exactly a cooking position, but is nonetheless important in the grand scheme of the restaurant. The sommelier is not required to handle food, but is instead charged with knowing which wine (or liquor) will best suit any dish as well as catering to the requirements of individual patrons when it comes to libations. Of course, there are also plenty of positions available that don’t require you to be chained to the hierarchy of a formal kitchen. You may choose to start a catering business, become a personal chef to a family, or even become a dietitian to give advice on healthy consumption and meal planning. But if your dream is to work in some of the top restaurants in the world, even if you have to start at the bottom, you should consider some of the positions listed above as an alternative to throwing the dice by auditioning at the Food Network. Eating is a necessity that many – if not all – of us will have to undertake to survive. Over the course of time, many cultures and indeed people within those cultures have chosen to have their diets differ from those around them, sometimes defining themselves by their diet. We have meat-eaters, vegetarians, vegans and many other diet types which have protracted names and various meanings. But the crux of the matter is this: there are many types of diet in which members of these various diets will not stray from a certain food set. A carnivore will not subsist on a diet of only vegetables, a fruitarian will continue to be insane and only eat fruit and many, many others will abstain from eating meat altogether. There is one universal fact at the heart of everything: eating meat is awesome. It tastes nice, is human nature and is just generally a great way to spend your time. Meat is delicious. Delicious meat. However, some will argue that eating meat is not the natural order of things. Instead of listening to their rant and then entering into what will no doubt become a heated argument, you should shove these hilariously anti-vegetarian meals in their faces. Just as disgusting as it sounds (or maybe not quite as disgusting as it sounds, depending on your frame of mind), head cheese is not actually a cheese at all, but meat taken from the heads of various animals (such as sheep, cow, pig or calf) which is then encased in that weird meat jelly (which is actually called aspic) along with various seasonings like onions, salt and vinegar, black pepper and others. 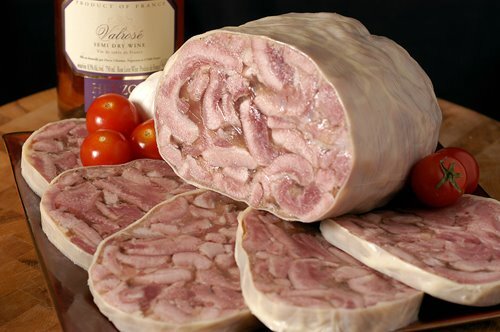 The meat in head cheese (the name alone is unpleasant enough) isn’t limited to “head meat” but can also include meat from the heart, tongue and feet of the animal as well. So essentially, you have random bits of meat from slightly uncommon parts of animals, smooshed into that weird meat jelly stuff that’s generally really unappealing to behold and then seasoned with more traditional seasonings. 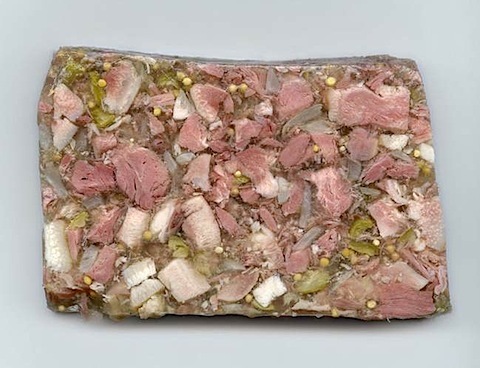 As you can see from the pictures, the head cheese itself is quite unusual to look at, having the appearance of a brick wall built by an amateur builder or some sort, who used jelly instead of cement. 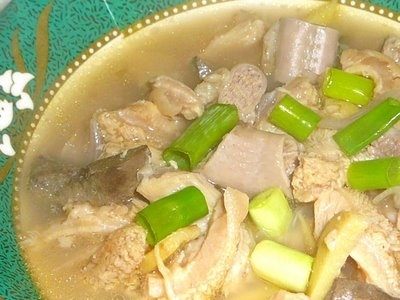 A true nightmare of a dish, papaitan is from the Philippines and mainly consists of animal offal (tripe, liver, intestines, pancreas, kidney, heart…Anything, really) being mashed into a stew. However, that’s not all, folks, as it’s then flavored with garlic, ginger, onion, salt, pepper and maybe some other, less disgusting-sounding ingredients. But perhaps the real coup de grace is that the stew is also flavored with bile (yes, BILE, the stuff that you can bring up when you vomit) to give it its characteristic bitterness (the word for bitter being “pait”, where the dish gets its name), but also imparting a sweetish aftertaste, allegedly. Papaitan is traditionally made with goat offal and bile, but can also be made with ox or beef offal as well, depending on the particular tastes of whoever is brave enough to eat this arcane concoction of animal bits and juices. It’s mainly served during festive occasions and due to its highly-seasoned nature, goes well with various beers and gins, accompanied by some rice. Because of the content and its stew-like nature, papaitan can also serve as a great source of warmth and energy. So remember next time when you’re a bit cold and worn down, you can perk yourself up again with a sumptuous onion-y stew made from animal guts and vomit constituent. 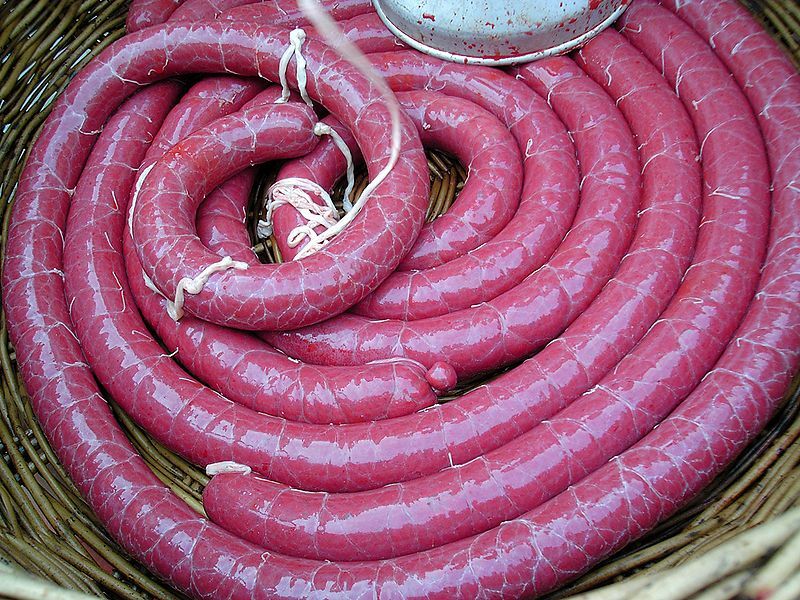 Also known as blood sausage, it is basically a sausage made by cooking the blood of an animal (usually pig, cow, sheep or goat, with chicken and horse being used rarely) with filler until it reaches a thickness where it can easily congeal when cooled. Filler to be cooked along with the blood might consists of any number of things, but is typically ingredients like fat, meat, potato, bread, oatmeal, suet and various other agents that’ll help to thicken the blood but still proved some sort of taste or flavoring, as you can’t just go and put solid blood into a sausage now, can you? Oh wait, you can. The blood sausage is generally served as part of a traditional breakfast in some areas of the United Kingdom and some Canadian provinces. Furthermore, the dish is also eaten all over Europe, with many regional variants coming into play. It is less common and even difficult to find in America and blood sausage-eating is usually confined to certain ethnic groups whose tradition calls for the eating of blood sausage. Outside of North America, the blood sausage is surprisingly prevalent and popular, despite it really just being a sausage made from the cooked blood of a random animal. 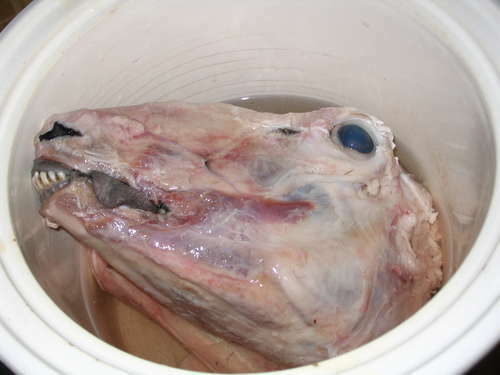 This terrifying abomination of a meal heralds from Iraq and consists of you eating boiled sheep’s head. That’s pretty much it. Oh, also, you might get some trotters and stomach thrown in there if you’ve been good. The ingredients are all boiled slowly so that a sort of broth (read: distilled liquid nightmare) forms around the head, and whatever other body parts are being boiled. It is then seasoned to taste (most likely with the screams of children) and served with some bread soaking in the broth itself. If the stomach is being served as well, then that would most likely be filled with rice and lamb before being sewn shut to keep all that stomach-flavored goodness inside. 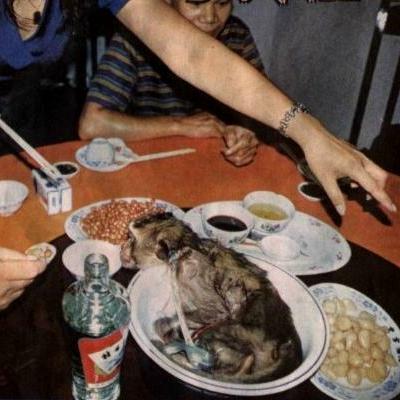 Perhaps the worst part of the dish is that once you get over the oddness of eating a boiled sheep’s head, all you’re really doing is eating sheep meat, until the terror reveals itself with each consecutive mouthful of boiled head meat. Piece by piece and scrap of flesh by scrap of flesh, you will slowly reveal the rictus grin of the sheep skull beneath. Depending on whether or not you opt to have the eyeballs removed or left in, by the time you finish your pacha, you’ll be left with a skull on a plate, its empty eye-sockets a hollow mockery of their former selves. Not the friendly dog companion from Fallout, but rather the meat from dogs, cooked to taste. These dogs that are to be served as food are raised in the same manner as other consumable animals, on farms to eventually be slaughtered. The attitudes of a culture towards dog meat vary greatly from country to country, however it is the general consensus amongst Westerners that eating dog meat is regarded as being taboo, but of course there are some for and some against the idea (and not just limited to those in the West, as some inhabitants of dog-eating cultures are also opposed to the idea), as with most ideas. 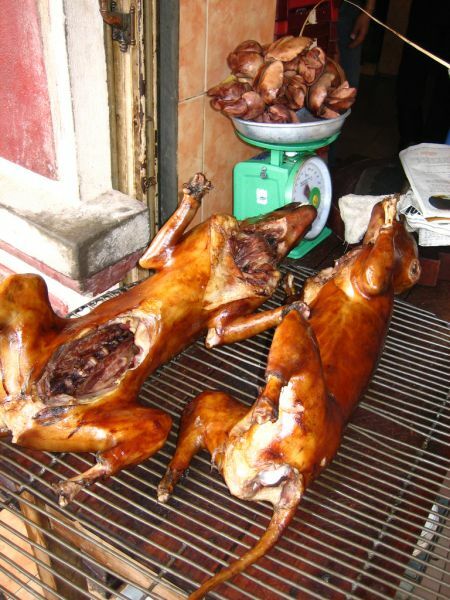 Amongst the cultures that do tend to opt for dog-flesh, it is usually only dogs reared specifically for eating that are consumed, as opposed to others that are raised to be pets. 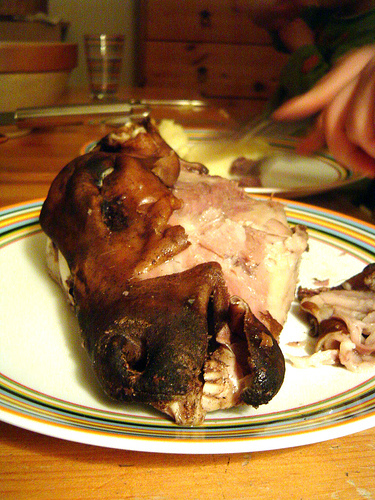 A dog can be prepared and cooked in a number of different ways, as with more commonplace meats, but can involve being boiled, skinned or even flash-burned to remove all the fur in one go. The dog meat itself is typically stewed with a thick gravy before serving. However, as with the majority of these things, the preparation and serving methods will vary greatly from region to region and culture to culture. 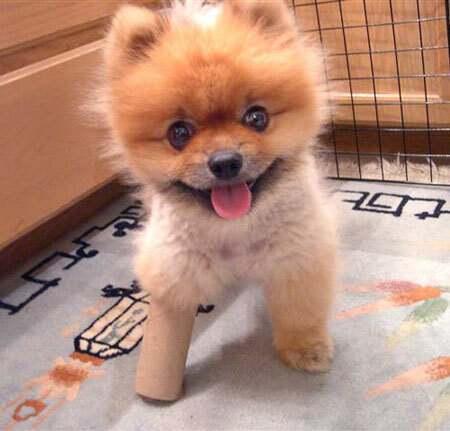 Woof woof, nom nom. Whilst this dish is popularly thought of to be of Scottish origin, the first known recipes for the vile thing have been found in parts of North-West England. 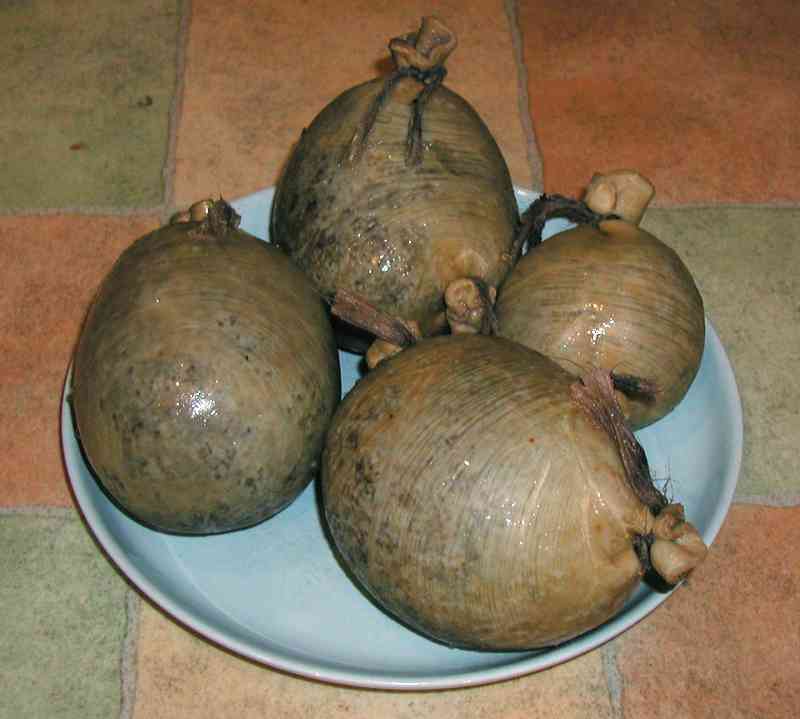 The meal – if it can be called as such – traditionally consists of the heart, liver and lungs of a sheep, mashed up with things like salt, onion, oatmeal, suet and other seasonings, all boiled inside the sheep’s stomach (although most commercial haggis these days is prepared in standard casing as opposed to an actual stomach). 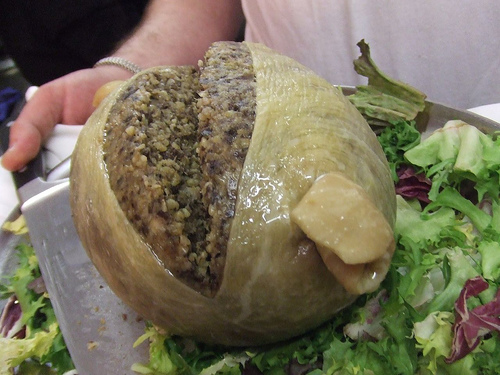 Since its conception – which must have been purely by accident, perhaps after an entire sheep fell into some mashed up onions and stuff – haggis has become a traditional Scottish dish, immortalized in the Robert Burns poem “Address to a Haggis” and traditionally served with swede and potatoes, along with a glass of whiskey as part of a Burns supper. While putting together our list of disgusting delicacies we realized that we may have missed some, and that our audience would likely be able to outmatch our choices. Hundreds of great entries poured in, and you guys listed some interesting dishes! Which of these delicacies is the most disgusting? Need more background information? 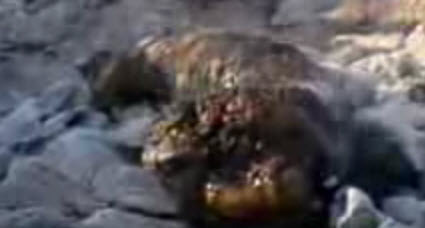 Here are links to more information for the finalist entries for the crown of world’s most disgusting delicacy. The winning submission will win $500. Voting ends at noon Eastern on April 13th. Best of luck to the entrants! We track IP addresses to prevent vote stuffing and other such gaming attempts. Update: Below is a snapshot we took to record the final results. Congratulations to Jianu Lucian for the winning entry. This is disgusting primarily because of the very high risk of contracting fatal transmissible spongiform encephalopathies such as Variant Creutzfeldt-Jakob disease and other similar brain diseases. In parts of China, the monkey’s brain is eaten raw. While it is most likely an urban legend, some people claim that monkeys’ brains are, or were, eaten from the head of a live monkey. Here is a common description: The monkey’s head was supported by its neck in a bracket, two pieces of wood with a semicircular hole on each side such that when you put them together, they form a complete circle around the animal’s neck, allowing the head to be exposed above the plank. The hair around the head is shaven with a shaving razor. A small chisel and a hammer is used to quickly chisel a circle around the crown, and the top part of the skull is removed. A teaspoon is used to scoop up the brain, which is immediately eaten. This has to be done before the monkey dies.